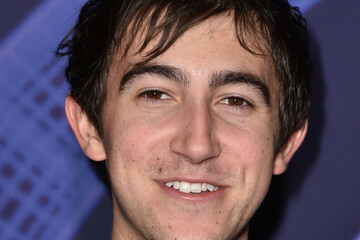 Vincent Martella is an American actor best known for playing the role of Greg Wuliger on the UPN/CW sitcom Everybody Hates Chris. He is also known for giving voice for Phineas Flynn in the animated series Phineas and Ferb. Vincent was born as Vincent Michael Martella in Rochester, New York, to Donna and Michael Martella. He belongs to Italian descent. He attended and graduated from DeLand High School in 2011. He attends the University of Florida where he is a part of the university’s online business program. *He was born in New York and was raises in Florida. *He is of Italian-American descent. *His father owns a chain of pizzerias called “Captain Tony’s”, which has locations in Arizona, California, England, New York, and Ohio. *At 12, he made his film debut in Deuce Bigalow: European Gigolo.